Home → Advanced Foundation Design → why we use piles in group insted of single pile. why we use piles in group insted of single pile. A pile is not used singulerly benearth the column because it's difficult to drive the pile absolutly verrically and to place a foundation exactly over it's center line. If eccentrically loading acts, the connection b/w thepile and column may bereak and pile may be fail due to bending action. 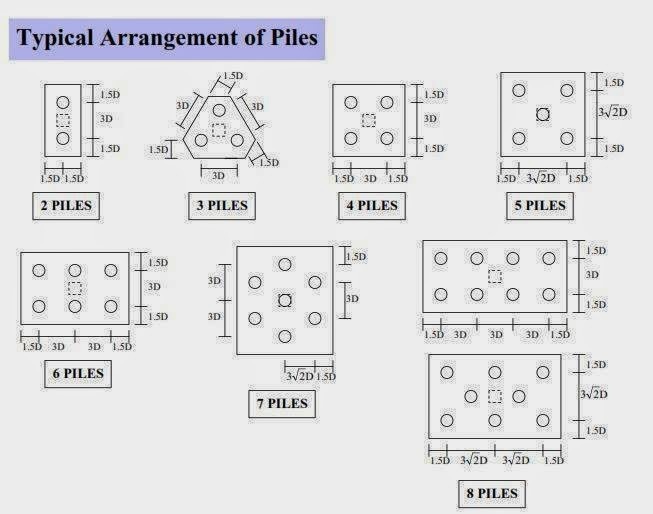 the estimation of load carrying capacity in group pile is a complecated problem because when the piles are spaced apart, the group capacity is sum of individual pile capacities.